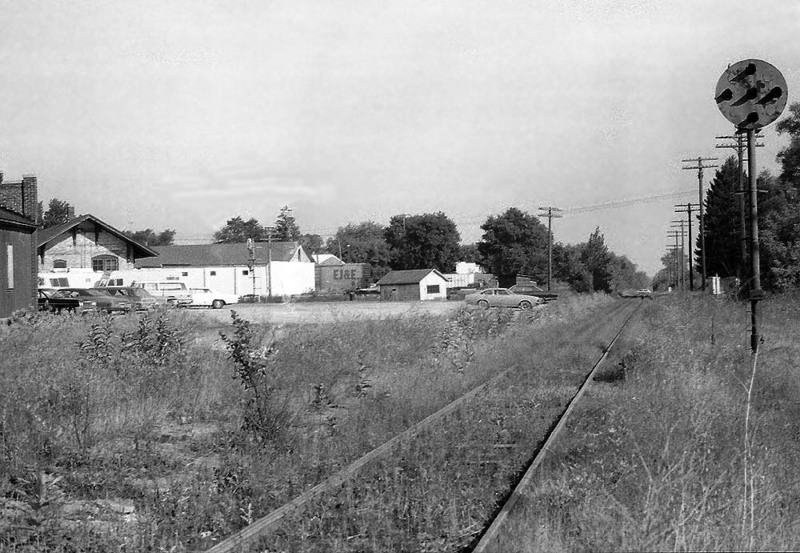 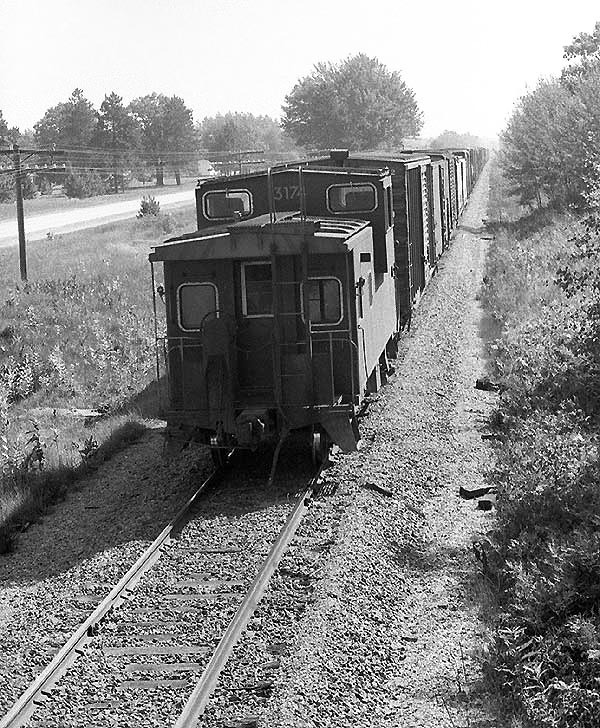 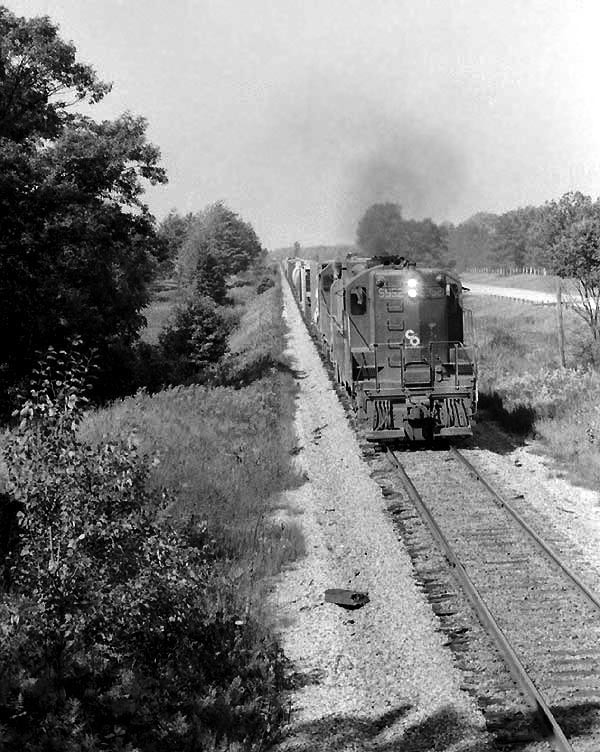 After crossing Lake Michigan on the Chessie's car ferry Badger, the Wx4 team progressed eastward along the C&O right-of-way to Reed City, a busy place when predecessors Pere Marquette and Pennsylvania Railroad crossed there. 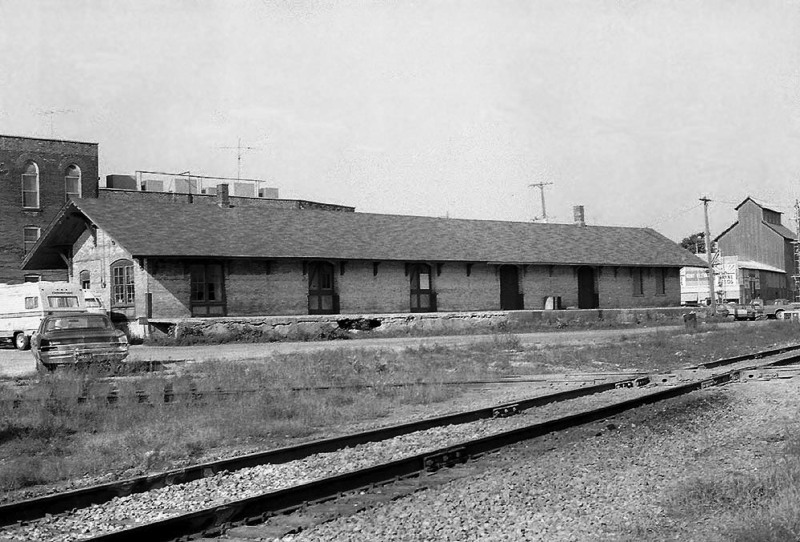 By September, 1974, the C&O freight office was closed, the passenger depot - which once sat at the diamond - was gone, and the Penn Central tracks appeared little used. 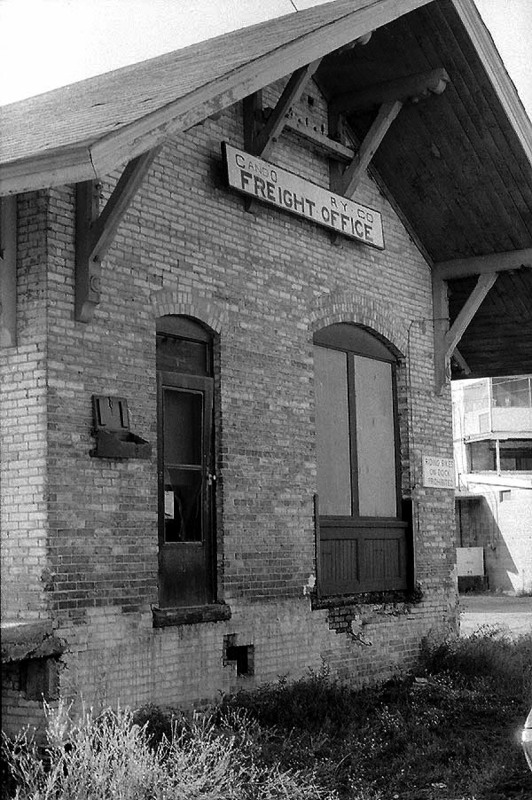 Today, it's all gone - the freight station subsequently was demolished and the nearest rail is 18 miles away from Reed City. 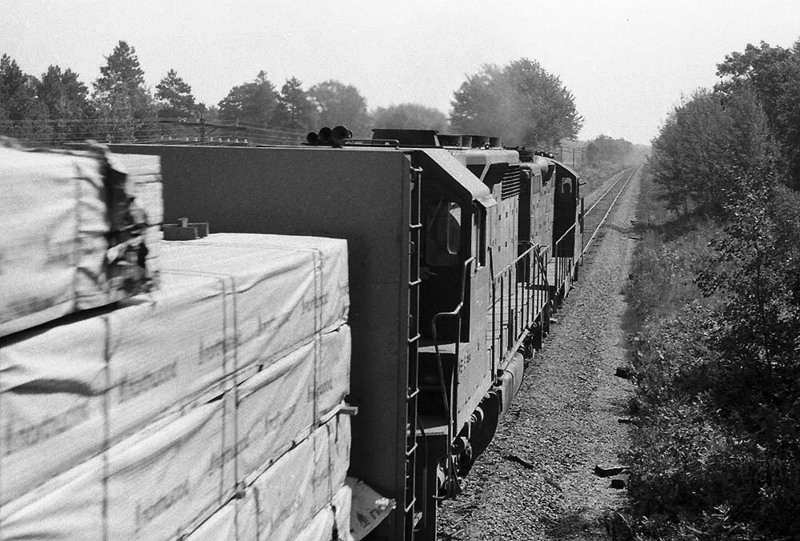 The three photos at page bottom, taken a little later the same day, show an eastbound C&O freight somewhere on the now-abandoned trackage between Reed City and Farwell.